Find hotel near Museum Of Tribal Arts And .. The Museum of Art & Artifacts is one of the most important museums of Orissa. 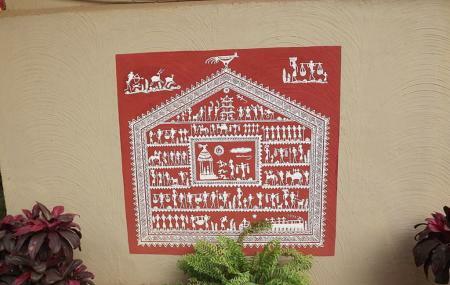 The building houses a rich collection of objects related to the tribes of Orissa, such as jewelry, costumes, and weapons. All in all, this is a fantastic place where you can gather information about the lifestyles of the ancient tribes of the Kalinga region. Timings may vary. Visit the official website. How popular is Museum Of Tribal Arts And Artifacts? People normally club together Shree Ram Mandir and Ekamra Kanan Botanical Gardens while planning their visit to Museum Of Tribal Arts And Artifacts. The BEST attraction in bbsr. Don’t miss this. Surroundings are extremely clean. I have not seen any cleaner place than this. Well designed and executed campus. Courteous and helpful staff. Photography allowed. A must visit place. Takes about 2 hours minimum to cover. Washrooms/drinking water available. Air conditioned. There is a tribal restaurant offering veg/non-veg meals. My best wishes to the staff and the people who conceived and built this. Highly appreciated. I've seen many museums all around India which has an entry fee and even then the officials are not at all aware of the place or it's visitors. But this one is one of a kind with FREE ENTRY which includes AC, Virtual Reality Headset Tours, Voice tours with touch screens, and a buggy for handicapped. With nice hospitality, this museum is one of the very well maintained museum with a FREE ENTRY I've seen anywhere in India and if worth a visit if you ever visit Bhubaneshwar. By Dr. Ananta Lakshmi V.v.s. If you are in bhubaneshwar and time this is the place to visit, you will see true picture of the tribal life of Odisha, you need at least 2 hours to visit this easily. There are 5 rooms which has presentation o different things sourced from all tribal. At the back of the museum, you can also look and go inside the structures which shows are these tribal stay in the jungle, they are look a like of their houses. There is a shop and restaurant/ canteen near to the entrance.